You don’t see me writing about criminal law here for good reason — it’s not what I do. But something happened during the sentencing hearing for General Michael Flynn today that deserves mention. As many know, he was showing up to be sentenced for lying to the FBI about his contacts with Russians and with regard to statements he made about his involvement as an agent for Turkey. Given that he was Trump’s National Security Advisor, and he was compromised, this was obviously a big thing. But during the sentencing, press reports were that Judge Emmet G. Sullivan was, shall, we say, a bit irritated. To say the least. He called Flynn’s conduct “a very serious offense” and said he was not hiding his “disgust” at what Mr. Flynn had done. At one point he asked prosecutors if they had considered charging him with treason. A small part of that anger may have been due to the fact that, prior to the sentence, Flynn’s lawyers suggested he might have been set up, or duped, by the FBI. 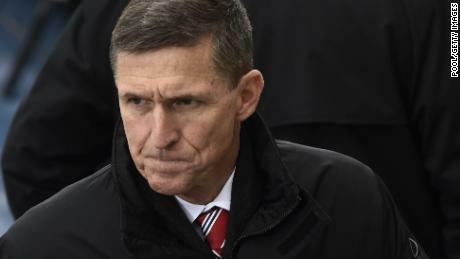 At the hearing, Judge Sullivan brought the subject up, making sure that Flynn distanced himself from the comments of his lawyers and fully acknowledged that he knew he wasn’t supposed to be lying to the FBI, even if they didn’t tell him he was the subject of an investigation. Who’s idea was it to vacillate a bit on the reason Flynn got busted? to suggest that, perhaps, he was somehow entrapped? Lawyer or client? Beats me. But at the hearing it didn’t matter to the lawyer. At the hearing, to spare his client, Flynn attorney Rob Kelner said his client shouldn’t be punished for the conduct of his attorneys. He fell on his sword; he threw himself under the bus; he bit the bullet. No matter the metaphor you choose, the lawyer owned the problem and told the court the bucks stops with him. Because that’s what a good lawyer is supposed to do. All too often in life, those who are professional advocates get so wrapped up in their little piece of the world that they fail to see the bigger picture. This happens with lawyers, of course, but likewise with any political advocacy group you find. Go to Twitter, for example, and you’ll see no shortage of people obsessed about one thing, and one thing only (and that one thing is, all too often, politics). But if you want to be effective, you have to actually leave that advocacy behind and engage your heart and mind in a completely unrelated hobby. Only then can you step outside of your work and even attempt to view it objectively. If you are advocating, then you need that objectivity, because the people you’re trying to convince are not those that already drank your flavor of Kool Aide. The advocacy is geared toward are those that don’t have an opinion, or are open to being persuaded because they are not all-consumed with confirmation bias. For me, as regular readers know, that hobby is putting on the Paine to Pain half marathon trail race each year that now attracts about 700 athletes from 15 states. We get about 200 volunteers to help. This is not a small undertaking on my part. But, believe it or not, I think this makes me a better lawyer. While it is time spent away from writing briefs and “being productive” in the office, it helps to give me perspective. Having raced over these trails, and seen so many others do it including some with disabilities, I’m more rounded as a person. Not because it’s running, but because it is something other than lawyering. It also makes me a better project manager, which is a large part of being a trial lawyer if you are the one with the burden of proof. If you don’t line all your ducks up in a row and prepare, prepare, prepare, then you won’t succeed, regardless of whether the “event” is a trial or a conference you are directing. It doesn’t really matter what your passion is outside of your area of advocacy. It could be sports, music or your local church/synagogue/mosque. If it happened to also be a community based hobby, as mine is, you will also get the incidental benefit of becoming more well known in your community, which might bring with it unexpected opportunities. If your advocacy consumes you and you can’t look at the rest of the world objectively, you aren’t going to be a very good advocate. Engaging those outside hobbies are critical to perspective and effective advocacy. And might have additional professional benefits.